DON'T WORRY, BE HAPPY! 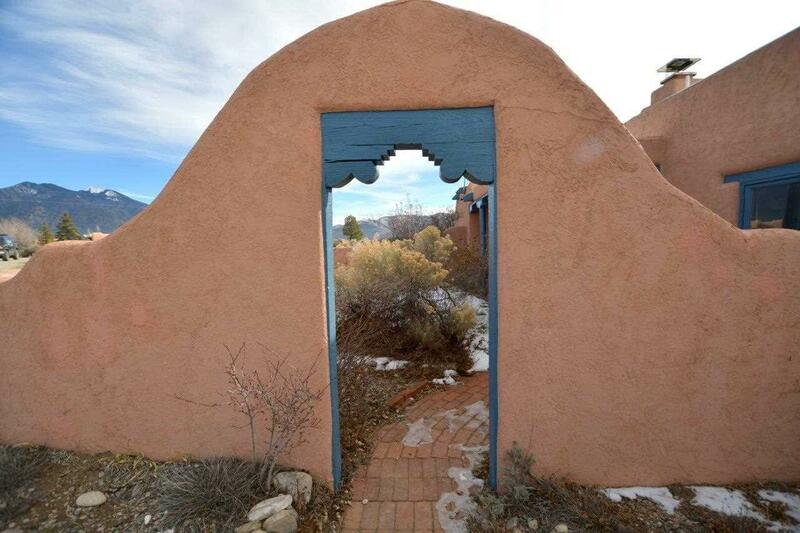 Sooo many things about this sweet, view filled adobe with attached casita will put a smile on your face. The 1,500 sq. 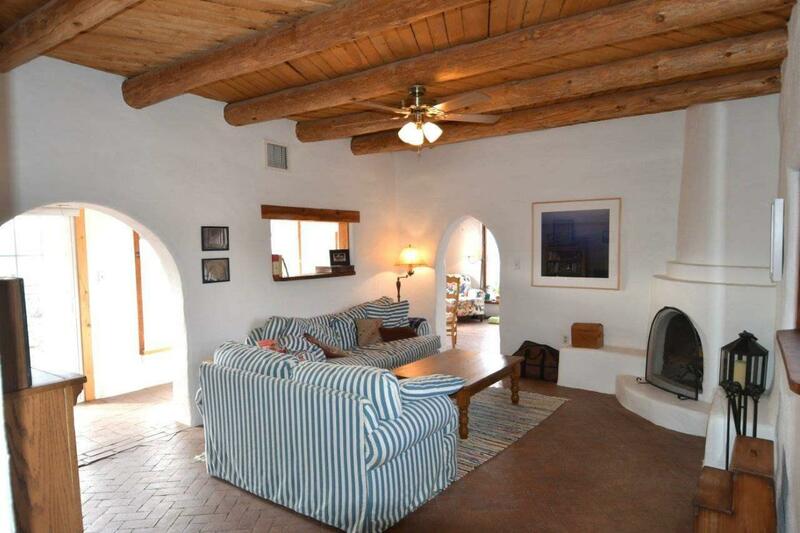 ft. main house is 2BR/1BA and sunroom with lots of Taos character - a corner kiva fireplace, vigas, brick floors, and nichos. 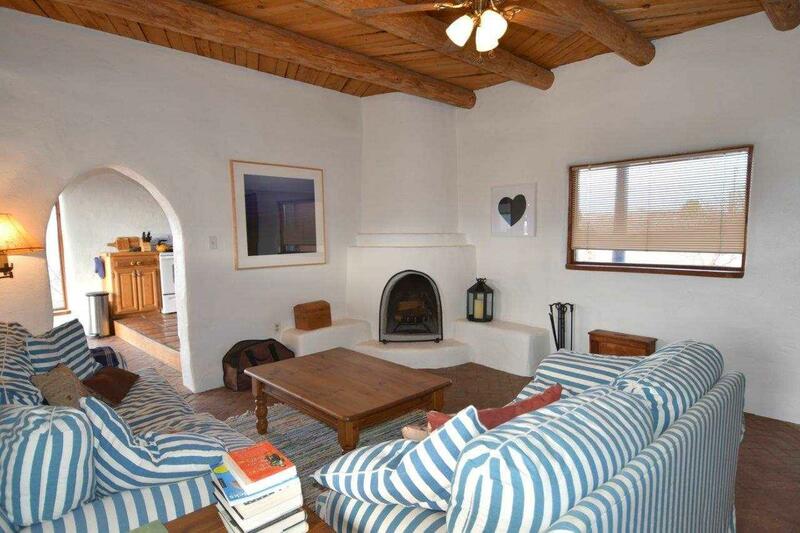 The attached studio casita also boasts a corner kiva fireplace, Saltillo tile floors, full bath and comes furnished. Both have patios. Watch the sunrise over Taos Mountain from the kitchen as you brew your first cup of the morning and let your worries drift away as you bask in the glow and watch spectacular sunsets in the evening. You'll love the location too. Off of Blueberry Hill on Half Moon Dr. you border 100's of acres of Taos Pueblo Land providing expansive views of the Truchas Mtns, the lights of town at night, and even Georgia O'Keefe's Perdernal, yet you're only 12 min to town and about 30 to Taos Ski Valley. Nat'l gas. Well and septic. Forced air heat. NOTE: There are tenants in each unit and good ones at that. They both have leases. The lease on the main house is up Apr. 15 and the Casita July 1st. Buy now for future occupancy or long-term investment. Looking for a second home with rental potential. Airb&b? or home with a deluxe studio? Home Sweet Home? So many possibilities! The price should make you smile too at only $375,000 which allows for upgrades and some deferred maintenance. Its the "real thing. 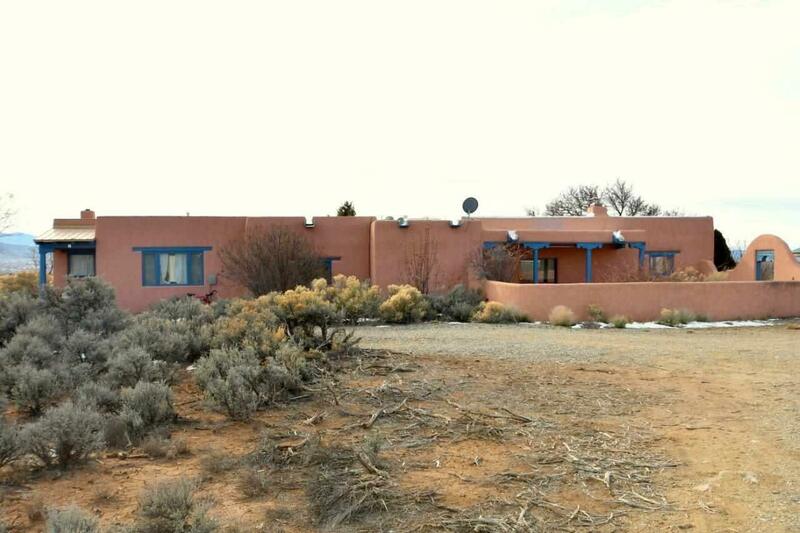 Listing provided courtesy of Berkshire Hathaway Homeservices Taos Real Estate: 575-758-1924.